I love being part of the entire process. That's why I've dedicated myself to providing the best all around service for my clients. I've been doing the one-man-band, run-and-gun style of production for years and have spent time refining my skill set to make my style of production the best it can be. Because I know every aspect of the process I can really help you get exactly what you're looking for without breaking the bank. Having quality video content is essential to any business or brand. I work hard to provide you that quality video at a competitive price. I'm with from the script to the final product and everything in between. Having a website on the internet is essential for any side hustle or business. 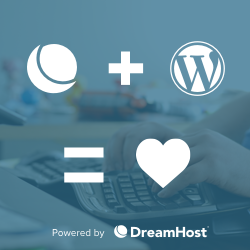 WordPress makes it possibly for anyone to get their vision from the real world to online. Find out how I can make that journey easier for you and set you up success. Just need a creative to look over the content you've made? Need help know the key strategies to create effective content? I'm happy to help! From youtube, facebook, and instagram strategies to giving you feedback on your latest piece of work. Have a current website but you're looking for a fresh coat of paint? I've got you covered. I help design your website so it's impactful but out of the way. Need to add bookings to your website? Want to start selling products? Whatever the need is I can help you get the right plugin integrated so that you can take your business to the next level. Podcasts are booming. Almost everyone knows someone who has, is, or wants to start one. I can help with that. Although it's easier now more than ever. It's still a lot of work to get up and running. Find out how I can make it easier to get you up and running. Social media content is a never ending task. I can help take the content you have and can create on the topic you love and be the creative that turns it to the rich media content. The content you can use to batch schedule. Need help optimizing your video content for YouTube? I'm here for you. I'll help train you with the best practices that help optimize your content for their platform. Helping you get more views and in turn new subscribers. Have tons of video content that's just sitting there? Can you pump out video content but does the idea of editing make want to run and hide? I got you! Let me be your dedicated video editor. I ensure you get the most bang for both our bucks.